The Headmagnet server has been upgraded with more memory and storage capacity. Sorry for the brief Friday night downtime (or Saturday morning depending on your time zone). Hopefully this will mean a smoother and faster studying experience for Headmagnet users. Also this finally gives us the additional capacity needed to be able to handle study list imports (coming very soon) without bogging down the server. Not that anyone but techies really cares, but this was one of the smoothest server upgrades I've ever seen, thanks to our hosting provider, Slicehost. Headmagnet uses Slicehost for VPS hosting, and the entire resize took less than 30 minutes, and was dead simple and entirely without any glitches. (From a 256 MB to a 512 MB VPS). If anyone is interested in using Slicehost for running a Linux server, please use this referral link. We're working on some useful new features suggested by users. More stats and new graphs: Be able to see projections on your estimated recall rate for individual study lists, study modes, and item level. Reminder Notifications and reports: Tell Headmagnet to notify you when you have a certain number of weak items, or if a certain study list's estimated recall rate decays below a certain percentage. Or, schedule a daily, weekly, or monthly email report that tells you what you know, what you've probably forgotten, and what you will likely forget by the next report. Groups and school/company accounts: We're still exploring these. Please keep the suggestions and feedback coming in! How can we make Headmagnet more useful to you? Please let us know! If you were one of them, we apologize for any inconvenience. It turns out that your school's internet access was blocking Facebook access, and Headmagnet uses the Facebook Connect feature. This caused other scripts to fail, resulting in the error message. You should be able to sign in now using your email/password. However, if you school or company's internet access is blocking Facebook, then you still will not be able to use the Facebook Connect feature. 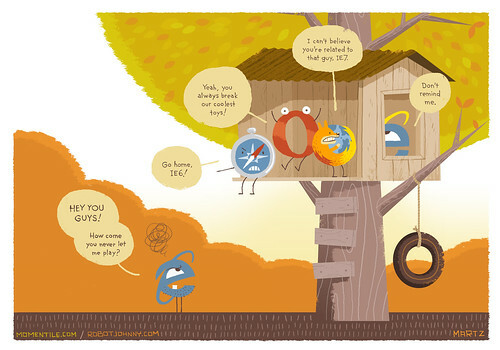 But I love Internet Explorer 6! You can still keep using it, but features of Headmagnet may not work correctly for you, and pages may not appear correctly. Why are you making this change? Internet Explorer 6 is nine years old and can't provide the same web experience that modern browsers can. Modern web browsers such as Google Chrome, Firefox, Safari, and Internet Explorer 8 provide significantly better online experiences. In order to continue supporting Internet Explorer 6, we'd have to spend an inordinate amount of time to provide an outstanding customer experience on IE 6 as on the newer browsers, rather than adding new features and improving upon existing ones. IE 6 usage has dipped below a small minority threshold of our users, and it's finally time to move beyond IE 6. Better tuning of the algorithm that predicts memory decay. For study modes, you can now have the items presented in random order, default item order, or sorted by any of the fields in the study list. Dozens of user interface convenience tweaks, such as having "Delete" and "Study" buttons on the Study Modes' pages. Many performance tweaks to make the web application run faster and more smoothly. What this means for you is a more effective and efficient studying experience. Stay tuned - we're working on some great new features that are coming soon!